name and products in view of masses in, around, and throughout Southern California using our unique and innovative advertisement concept. 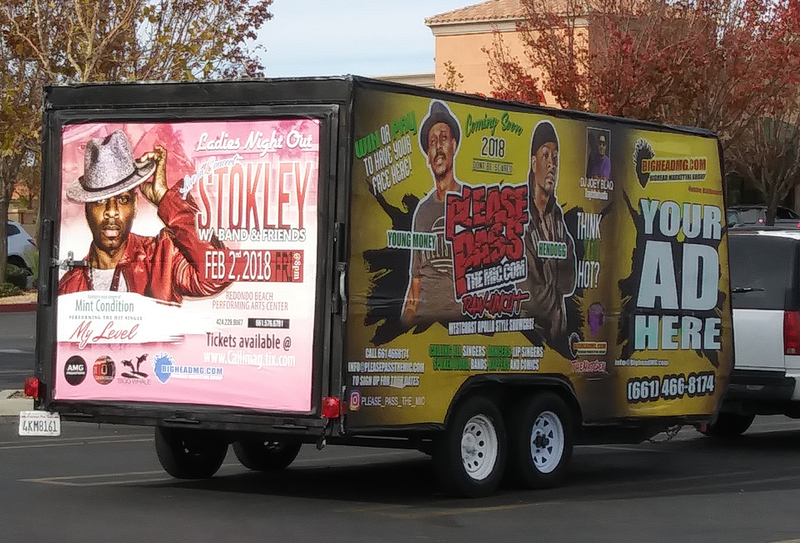 The Mobile Billboard Promotional Crew Transporter is a product on the cutting edge of outdoor advertisement. It is an enclosed cargo trailer with eye catching billboard ads on the exterior and an interior that can’t be forgotten that commutes all over the Greater Los Angeles Area.